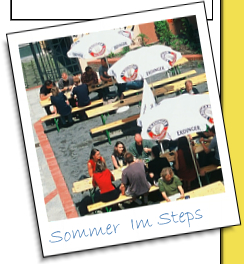 You would like to stay in the Steps Hotel in Berlin Mitte – Wedding with a group of people? Please fill in the following fields. You will receive an immediate and unbinding offer via e-mail. You prefer half- or full board? No problem – everything is freshly prepared in our partner-restaurant. If you wish to receive a personal call back, please let us know by using the field note in the Inquiry form. Miss H'lawatscheck will happily get in touch with you.